Feedback? Questions? Comments? Get in touch with us! 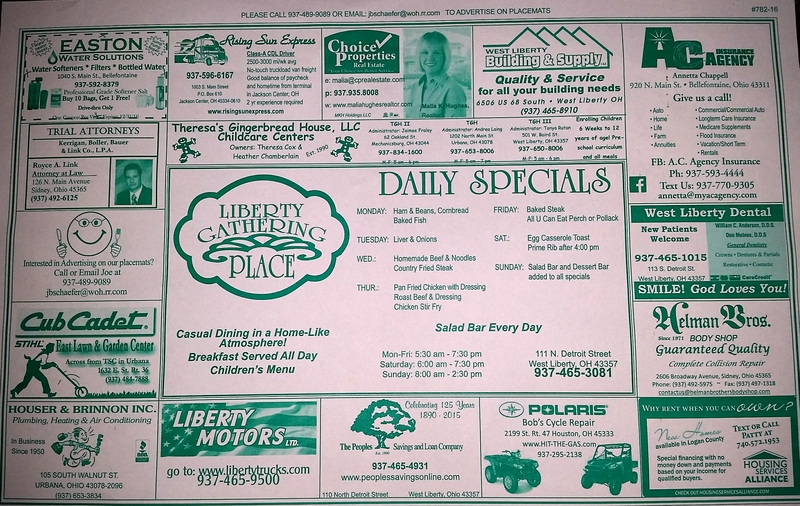 To advertise on our place mats, please call or email Joe.